There many guys that are not interested in joining a fraternity, rather they are interested in learning how to start a fraternity from scratch. The allure of being a founding father and building their legacy is just too much for some people to pass up. Just think of how awesome it would be to look back at a fraternity that you started twenty years ago. Surprisingly enough, it is pretty simple to start one, but only if you go about starting it the right way. First off, starting a fraternity is not something that one man can do alone. 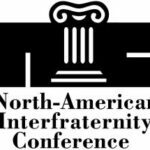 The odds of the fraternity actually becoming chartered go up exponentially the larger the size of the original interest group. If it is just you and a buddy, you can pull it off; however, having several guys is preferable. Starting the interest group is probably the most critical part of starting a fraternity. If you create a strong interest group with a lot of guys who have high potential to be quality brothers, then you have a real shot at starting a new fraternity. This step really isn’t that hard if you know what you are doing. Once you get an interest group, you need to affiliate with a national fraternity. You also need to get in touch with the Greek Life office at your university and let them know your intentions. Both will try to dissuade you from starting a new fraternity. They will only agree to let you start a fraternity if they think you will be successful. Think about it – neither group has any interest in starting a fraternity that is going to fail. That only makes the University Greek System and the National Fraternity look bad. Fortunately, there are several keys they are looking for to ensure you will be successful. These keys are discussed in detail in my report. The next step will be your first foray into fraternity recruitment. Your new fraternity will never get off the ground if you don’t know how to recruit. You have a huge advantage though – your fraternity will be able to sell something that not many other fraternities will be able to sell, the vision of creating a new fraternity from scratch. This initial recruitment will be the easiest recruitment your fraternity will ever have, but is imperative that you do it right because this will be the fraternity’s foundation. And if you make it to this stage, you are almost assured success. You will have started a fraternity and have the pride in knowing that created something greater than yourself. 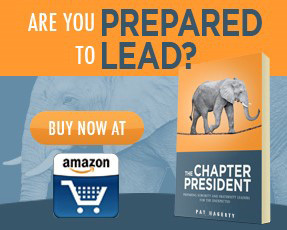 If you want to learn more, check out my book HOW TO JOIN A FRATERNITY. It is available on amazon.com and includes a special 13-page report on How to Start a Fraternity. This will provide the details, tips, and tricks you need to know in order to start a fraternity. My Fraternity is Struggling… How Do I Save It? How Does a Local Fraternity go National? Starting a colony of a national greek letter fraternity is certainly one way to go, but depending on the school and other conditions, it isn’t necessarily the only or even best way to go. Every national fraternity started out as a handful of guys at one university. And think of the Harvard Finals Clubs like Porcellian and Fly, or Yale societies like Skull and Bones that have prospered just fine with only one chapter. Starting your own fraternity from scratch is an even bigger accomplishment than colonizing a chapter of an established national fraternity. It also has some other inherent benefits. If you are at a college that bans, discourages, or even is just not interested in adding more fraternities to its Greek system, forming your own secret society and giving it a name OTHER than greek letters can help you fly under the radar, you won’t set off the administration’s “there is a new fraternity on campus” alarms. 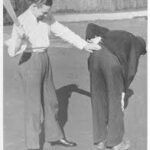 And as the old adage goes “it’s easier to seek forgiveness than permission.” Bring interested men together, start doing things as a group, come up with a (non-Greek) name, symbols, ritual, etc (ritual isn’t so hard to come up with, most of the national frats just borrowed from the Masons, Oddfellows, etc). Keep your membership secret for the time being, then start having parties, and also start doing philanthropy. Make philanthropy a central activity of the organization, including real volunteer hours, rather than the sideline fundraising and occasional philanthropic event most Greeks pay lipservice to service with, and get a reputation first with the student body and then with the campus administration for doing a lot of good in the community, before “officially” revealing yourselves as an organization. You’re not a greek letter organization, so no reason you should fall under the office of Greek Life, and really no reason you should have to “officially” affiliate with the university as a recognized organization, unless you read the climate of your campus carefully and find the pros of official recognition would outweigh the cons. But no reason at all a secret society couldn’t be very successful and enjoyable for years without official recognition. I need regular advise on setting up a fraternity made up mainly of young intellectual elites and the bulk of the population of the masses, that will gradually transform into a political party that will shake my country, Nigeria and take up the reigns of power like whirlwind within the next four years. Need regular advise on setting up a fraternity that will gradually translate into a powerful political party in Nigeria within the next four years. Yeah I agree. I want to create a sorority and have it for only guys only.. I feel like we can do many stuff and bring joy and peace on campus. Yeah I want to create a Sorority and have it for guys only..
Im an incoming freshmen at UALR and last night I was introduced to the fraternities on campus the only problem is……their is only two to choose from “Pike” and “Kappa Sig” both have their ups and downs but none are really to be excited about…they say their is absolutely no hazing but recent members say otherwise…..I have mentioned to a few friends my idea of creating our own fraternity of brotherhood. They all agree in establishing a fraternity of well groomed athletic gentlemen that don’t look down on one another or incoming freshmen, we envision the ideal college life such as having partie, having support groups, student sections, tailgating, community service, our own Greek name, housing, friendships and many more…i am set on creating a new fraternity that will succeed and not look bad I need toot help with any advice you have to give me..I believe it will be very successful because most people don’t join a fraternity at UALR because there are only two and neither are much liked so with creating a nee one I think it would give great opportunities for other and myself..
How successful were you at starting a fraternity? I joined my fraternity when we were a colony at NC State, so I never really went through this process. I do know that several people have followed this advice and have colonized at their school. It is really a lot of common sense when you think about it. A lot of guys just don’t know who to contact.